Books – Justyn Barnes Media Ltd. I am a writer, ghostwriter, editor and project manager. With a depth of hands-on experience working in every aspect of the creative and production process, from brainstorming editorial and design concepts through to post-publication social media marketing, I can add value to any project. I have produced over 60 non-fiction books for publishers such as Headline Publishing, Guardian Faber, Bloomsbury, Carlton Books, Opus Media Group and Vision Sports Publishing. My diverse output has spanned super-sized limited edition illustrated books, a dinky series of humorous books, biographies and ghostwritten autobiographies with well-known personalities. For a full list, see Bibliography. My background is in sport, but I’ve produced books on everything from the Indian Ocean tsunami to a humorous history of Britain. My feature-writing, blogs and interviews have encompassed travel, art, design, technology, business and entertainment. In short, I enjoy variety and welcome all non-fiction book proposals. If someone has an interesting story to share, I will bring it to life on the page in their voice. 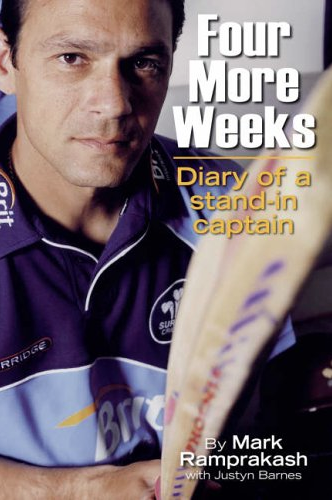 My first ghostwriting gig was a diary of the 1997/98 season with Manchester United and England footballers, Gary and Phil Neville, a Sunday Times bestseller. I have since produced many first-person pieces for periodicals, including collaborating with football legend George Best on a monthly opinion column for five years and a one-off article with comedian Eddie Izzard for The Observer. Ghostwriting demands adaptability to accurately convey the personality, emotions and opinions of your subject. 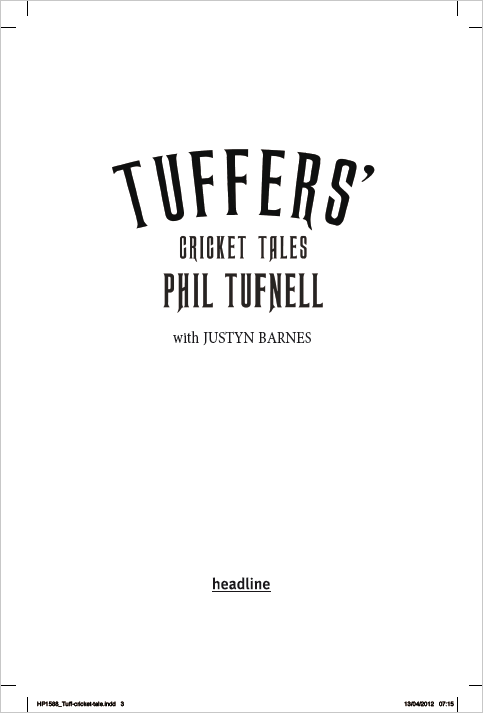 For instance, my cricket books with the ultra-intense Mark Ramprakash and the terminally laid-back Phil ‘Tuffers’ Tufnell respectively demonstrated my ability to adjust my approach and tone as required. I have an extensive track record of success in leading editorial projects, commissioning writers and creatives, managing budgets from £5,000 to £1million, and overseeing commercial, editorial and creative teams (which, on occasions, have been spread across different continents). I work with in-house and freelance teams to deliver on brief, on time and on budget. I have worked on a variety of high-profile official publishing projects in association with premium brands. This work has required exceptional communication and organisational skills plus a keen appreciation of brand values. With me, your valued client will be in safe hands. I love working with words and pictures. Previous assignments as an archive picture researcher, picture editor, director of photo shoots have sharpened my visual sense. I have proven ability to get the best out of designers and deliver beautifully presented books that equal more than the sum of their parts. In five years (2006-2011) working for Opus Media Group, a publisher of luxury limited edition illustrated books which retailed between £200 and £20,000, I took on executive editor responsibility, dictating editorial and production discipline across the range of titles, editing individual titles, pitching for new business, adapting content for digital formats, I was instrumental in producing websites, advertorials and e-communications to promote this new brand. Attending meetings, joining conference calls, developing social media marketing campaigns or pitching for new business… whatever your creative needs, I am available for hire on an ad hoc basis to offer my advice. I am often asked by individuals to advise them on fiction and non-fiction book projects they have undertaken. Whether you would like general feedback on a first draft, a forensic copy-edit or advice on how to pitch it to publishers, I will probably be able to help or know someone who can. If your project needs extra manpower, I can call upon trusted freelance contributors – writers, designers, photographers, illustrators, etc. – with different specialities to work under my supervision.